Members of the 1-18th Cavalry Unit Ministry Team recently acknowledged the role that the Rotary Club of Hillsborough plays in preparing packages of food and toiletries that are shipped to our troops serving abroad. The Rotary-hosted event is part of the efforts of Operation Shoebox, a Hillsborough-based non-profit that conducts packing events throughout the year. 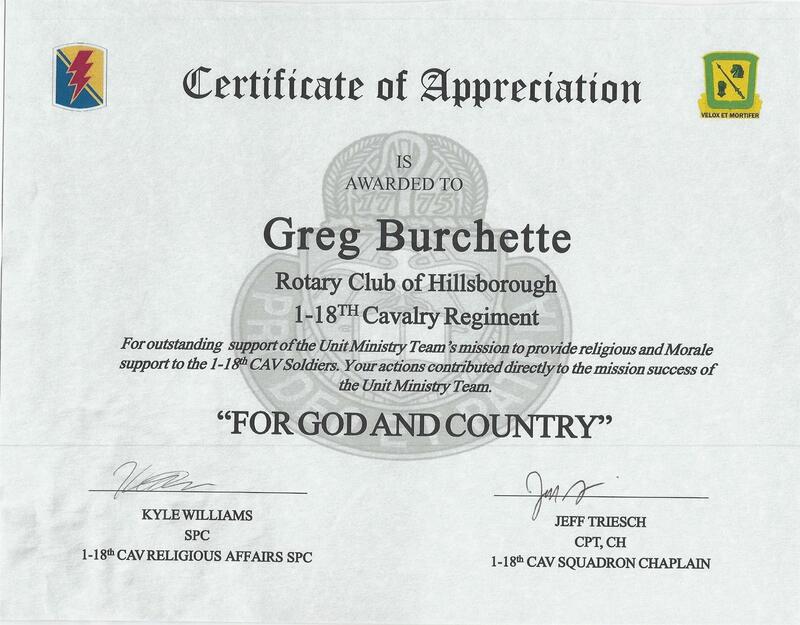 A Certificate of Appreciation and photo of the unit were sent to Club President, Greg Burchette, and shared with Rotary members. The Club's annual packing event is held each December at the Hillsborough YMCA, and brings together Rotarians and hundreds of members of the community to pack thousands of boxes that are then shipped to our troops. Operation Shoebox New Jersey, based in Hillsborough, was founded in February 2005. 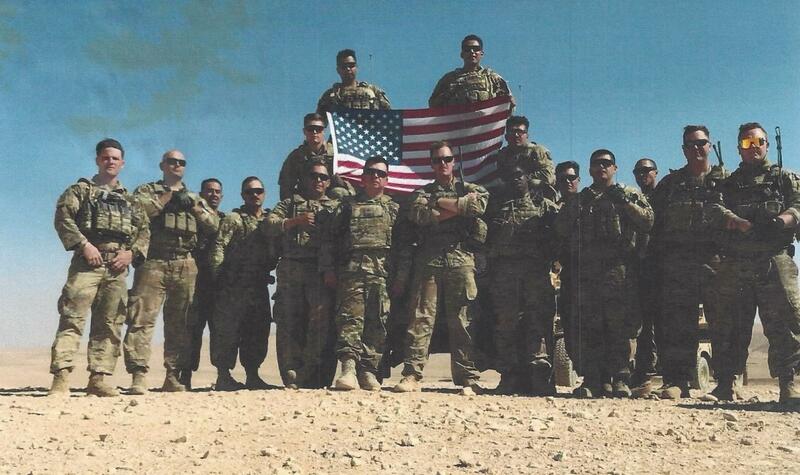 It is an all-volunteer grass roots organization dedicated to collecting donated supplies and shipping care packages to U.S. troops based in Iraq, Afghanistan and other Middle East countries. Operation Shoebox seeks donations of food and personal care items that are placed in personal care packages shipped to members of the US military deployed overseas. Requested items include canned tuna, canned fruit, 1 oz. boxes of cereal, dried fruit, trail mix, granola bars, beef jerky, small bags of pretzels and chips, small tubes of toothpaste, toothbrushes, small packets of moist wipes, soap, deodorant, small canisters of powder and small bottles of shampoo.